Sterling Issuer Services provides its clients with a set of services designed to allow them to effectively communicate with their shareholders. We have the resources to handle your needs from a simple shareholder notice to your annual meeting. This includes our printing and mail fulfillment services which allow us to handle your communication needs in a timely and cost effective manner. Our in-house resources allow us to reach thousands of shareholders in short notice. For exceptionally large projects we have relationships with some of the best printers in the country that allow us to handle the largest and most complex of projects. 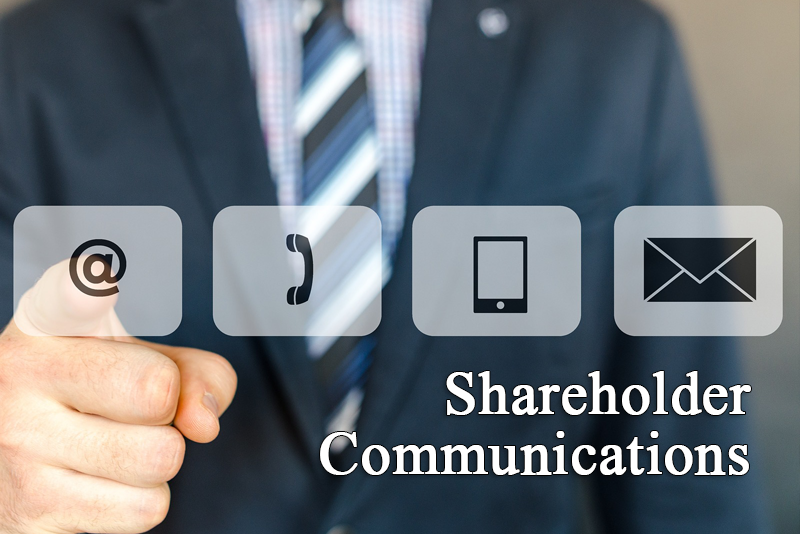 Simply put, we can handle your shareholder communications needs. We provide our clients with proxy tabulation services, including the electronic hosting of shareholder meeting material, and online voting. Our system allows for your shareholder meeting material to be posted online, and for the secure, online voting by your shareholders. Please feel free to contact our office to see how we may be of assistance to your firm in enhancing its shareholder communications needs.